Enter our Competition to win four Whittard Mugs! Home Blog Enter our Competition to win four Whittard Mugs! At QuoteSearcher we firmly believe that any situation can be improved with a nice cup of tea. As a motor trader you probably can’t live without a nice cuppa, and you probably also offer your clients one if they are waiting for you to complete a job. This is why this month we have chosen to give away four china tea mugs from the quintessentially British company Whittard. Treat yourself, your work mates and your customers to a proper cup of tea with these bright and cheery mugs that are guaranteed to brighten up any work place. 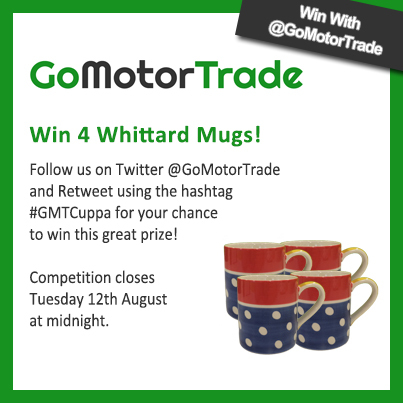 To enter our competition, just follow us on Twitter @QuoteSearcher and Retweet using the hashtag #GMTCuppa. Competition closes Tuesday 12th August at midnight.